Gamers' choice? MSI hopes to attract mobile gaming fans with the MSI GE60. The 15.6-inch notebook promises strong application and 3D performance with its combination of Core i7 processor and a 600-series Nvidia graphics card based on an already-tested barebones system and a matte, Full HD display. With 17-inch and larger displays currently available, why do 15.6-inch gaming notebooks remain popular? The answer is simple: for many buyers, the 15.6-inch size class offers the perfect combination of performance and mobility and can often be used as a mobile desktop replacement. MSI has been a reputable name in the gaming notebook sector for years and now adds the GE60 midrange gaming notebook family to its stable. The smaller sibling of the recently tested MSI GE70 family is currently offered in four different configurations that range in price from 799 to 1099 Euro ($979 to $1349 USD). 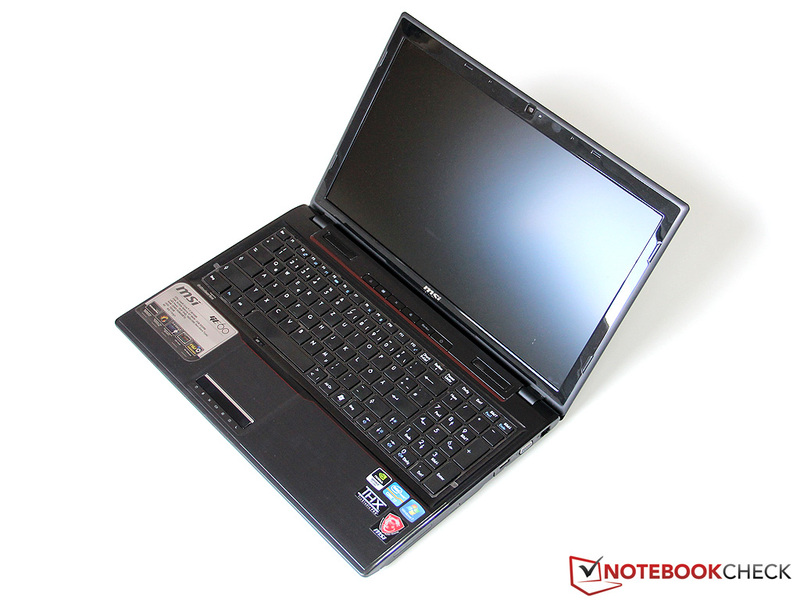 Our test sample, the GE60-i789W7H, offers remarkable equipment and carries a price just under 1000 Euro ($1229 USD). This configuration features the Intel Ivy Bridge Core i7-3610QM quad-core CPU, an Nvidia GeForce GT 650M, 8 GB of RAM, and a 750 GB hard disk. The MSI GE60’s matte Full HD screen also proved excellent in the more expensive MSI GT60 and, as a result, we have high expectations for the display. This combination of hardware specifications and price makes the GE60-i789W7H a competitor to the Asus N56VZ and the Schenker XMG A502. Can the GE60 stay ahead of its competition and claim to be the best in the 1000 Euro ($1229 USD) price class? Read our review to find out. Display hinges are firm but teeter a bit. 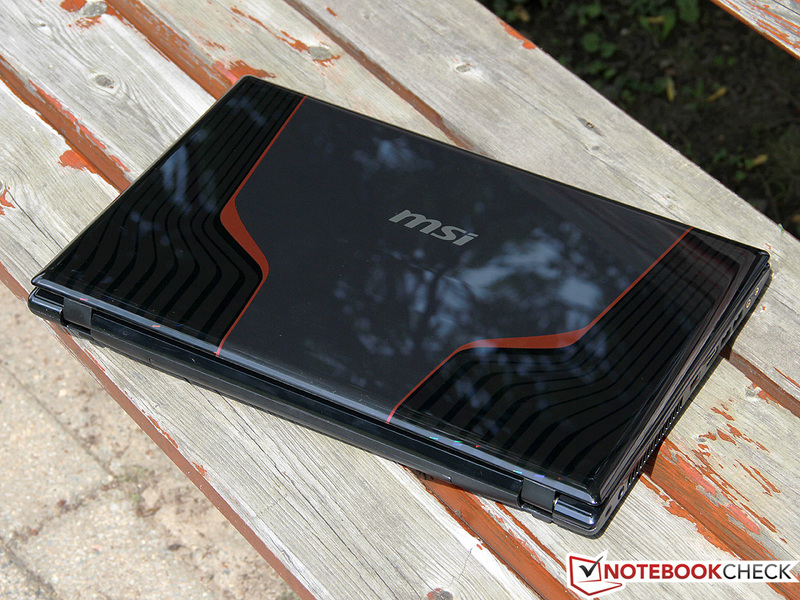 The MSI GE60 uses a stylish glossy black piano lacquer finish throughout its case. While this may be visually appealing, it is impractical in daily use as dust and fingerprints are highly visible and cannot be completely removed even through daily cleaning. We would have preferred a matte finish instead. 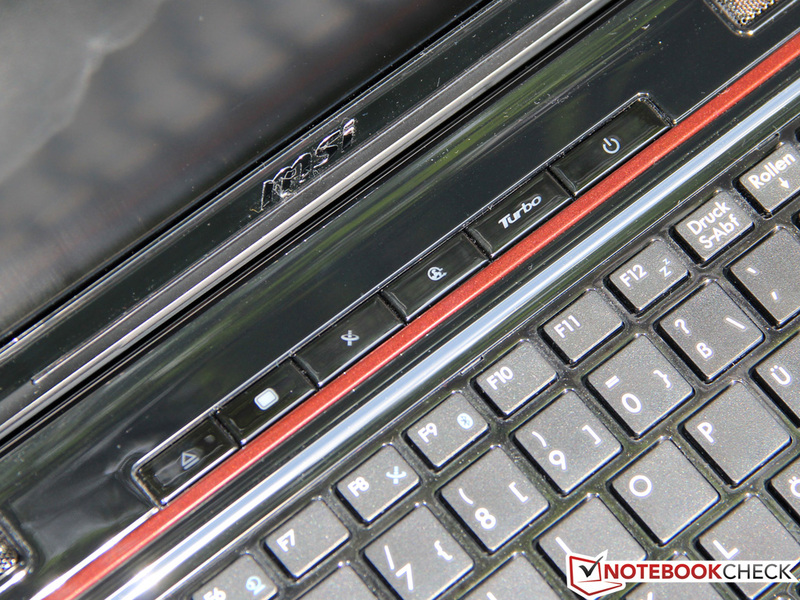 As with the larger MSI GE70, the case’s monochromic solid black is pleasantly split by two red stripes. 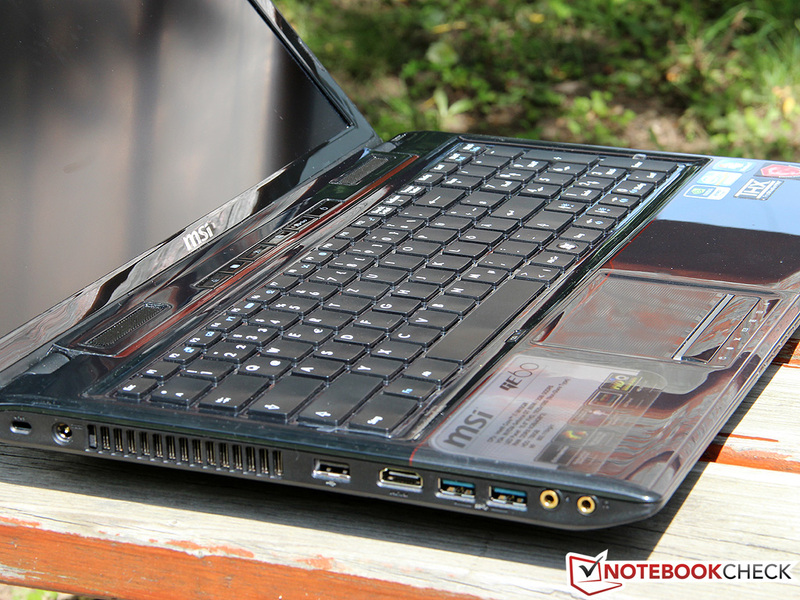 Our notebook weighed in at 2.6 kilograms (5.7 pounds), an acceptable weight for a sleek gaming notebook. The Deviltech Fire DTX has a similar weight. This is completely understandable as both notebooks use the same MSI MS-16GA barebones platform, albeit with different coloring schemes. When we reviewed the Fire DTX, we found the case to be merely average. Can the same be said for the MSI GE60? Regrettably, the answer is yes. The case demonstrates slight flaws in stability and both the base unit and display can be twisted with a certain amount of force. The display lid is held by extremely tight hinges and opening the lid requires the use of both hands. 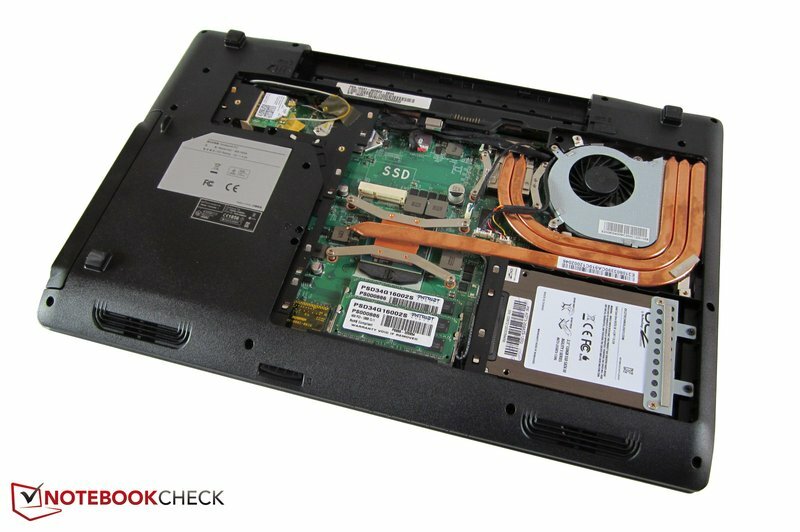 The MSI GE60, however, does not suffer from typical problem zones such as the areas near the battery and optical drive. Nothing appeared to yield under even higher specific pressures. We found that build quality could be better as well. Some of the material and finishing transitions were somewhat sharp and could be smoothed more. At times, touching the display’s upper frame could cause visual distortions on the screen itself. Most of these issues, however, are of a highly specific nature and will hardly be noticeable in everyday use. Nonetheless, we found the similarly priced Schenker XMG A502, based on the Clevo W150ER platform, more appealing in this regard but at the expense of its portability. The XMG A502’s thickness of 4.7 centimeters (1.9 inches) makes it a less portable and slightly heavier device than the MSI GE60 which has a slimmer 3.8 centimeter (1.5 inches) thickness. As both the Deviltech Fire DTX and MSI GE60 use the same MSI MS-16GA barebones platform, both notebooks also have comparable connectivity. 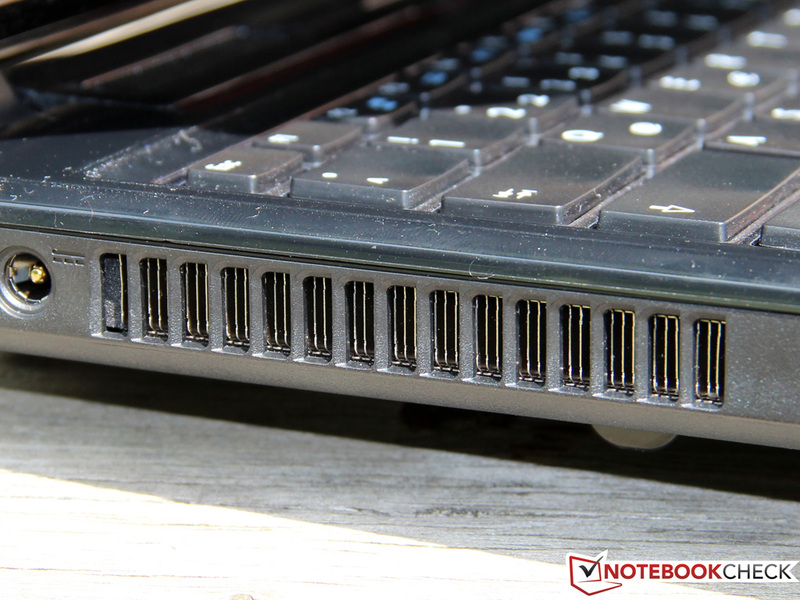 As with the Fire DTX, the MSI GE60 has a total of four USB ports, two of which use the newer USB 3.0 standard. By comparison, the Schenker XMG A502 has an extra USB 3.0 port and an eSATA port which is unavailable in the MSI GE60. 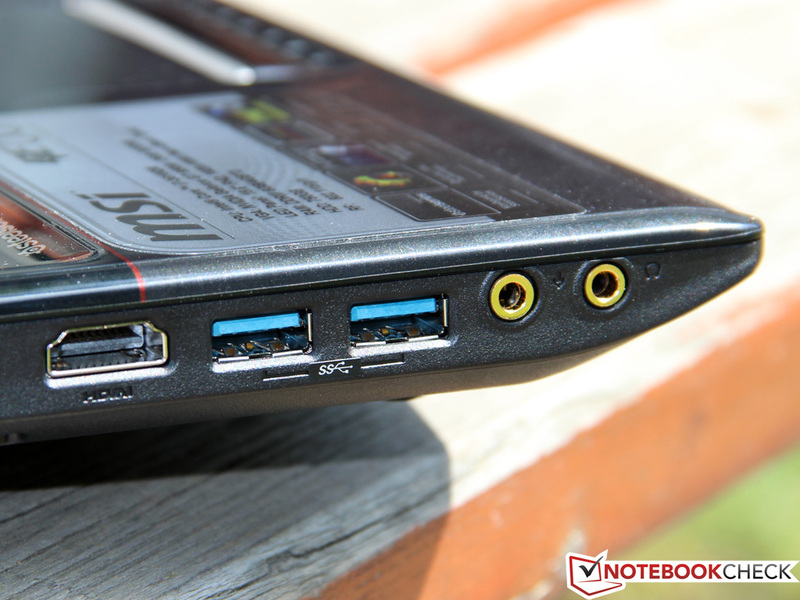 The MSI GE60 also lacks both a Thunderbolt interface, made popular by the latest MacBooks, and a DisplayPort interface. For external displays, the user is forced to use either VGA or HDMI. The only other connectivity options are Gigabit LAN, a Kensington lock slot, and a 4-in-1 card reader that supports SD, MMC, MS Pro, and xD formats. All of these options are typical standard interfaces in gaming notebooks of this price range. As in the case of the Fire DTX, we feel the need to criticize the interface distribution. The ports are generally placed too far forward and the spacing between ports is too small. The former of these issues makes cable management difficult when using any external peripherals or connections. The latter causes larger USB connectors, such as the Corsair Flash Voyager USB flash drive, to block multiple ports simultaneously. It should be noted that these problems are not specific to this particular notebook and many competing notebooks have the same limitations. For the Ivy Bridge platform, Intel typically uses the Centrino Wireless-N 135 module which happens to be in our test sample. 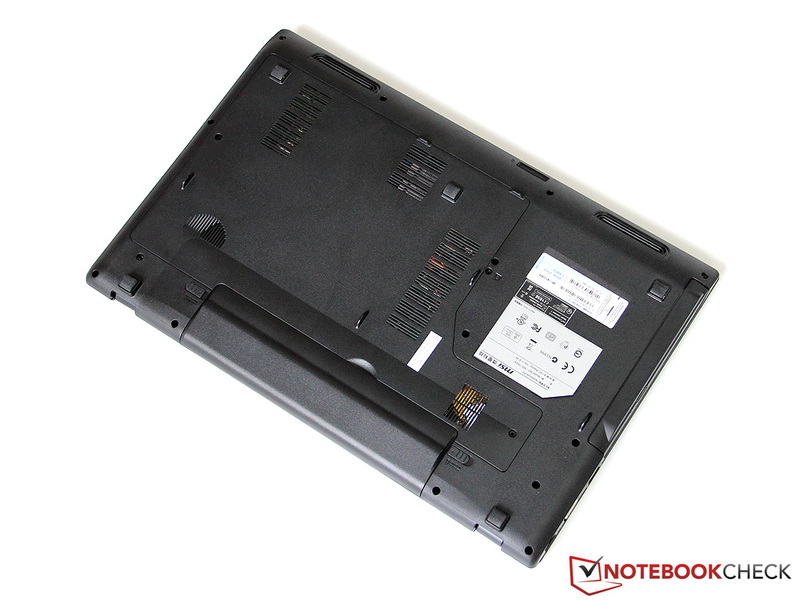 This module does not offer any new features but does ensure that the notebook is capable of typical entry-level specifications. The maximum of one transmission and one reception stream (1x1 Wi-Fi) enables a gross data transfer rate of up to 150 MBit/s. The module is limited to the 2.4 GHz band and the IEEE 802.11b/g/n standards for Wi-Fi. While the Intel Wireless Display (WiDi) technology for connecting to external TVs and displays is not available, the current Bluetooth 4.0 is available onboard. Wireless WAN and mobile Internet via Universal Mobile Telecommunications System (UMTS), High Speed Packet Access (HSPA), and Long Term Evolution (LTE) are not available. An HD webcam for video calls and snapshots is available and enables the user to take pictures with a maximum resolution of 1280x720. 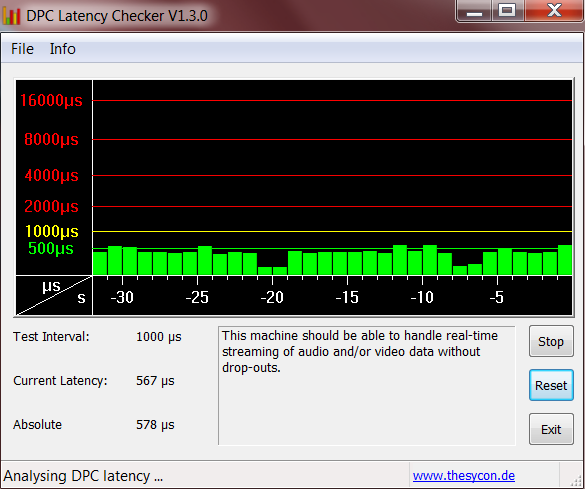 The image quality is fairly good for a notebook-integrated webcam but video playback stutters at maximum resolution. A very high-end stereo microphone is built into the display frame next to the webcam. As is typically the case, the manufacturer only includes required accessories. For the GE60, we only found a few leaflets (quick start guide, warranty information) and a driver CD. For restoring other programs or the operating system, the buyer will have to create a backup CD. Our MSI GE60 sample notebook came with CyberLink YouCam for webcam use, various trial versions of Magix Foto Manager 9, Music Maker 16, Video Easy SE, and Trend Micro Titanium Internet Security 2012. If one does not need or want these programs, they must each be removed via the control panel. 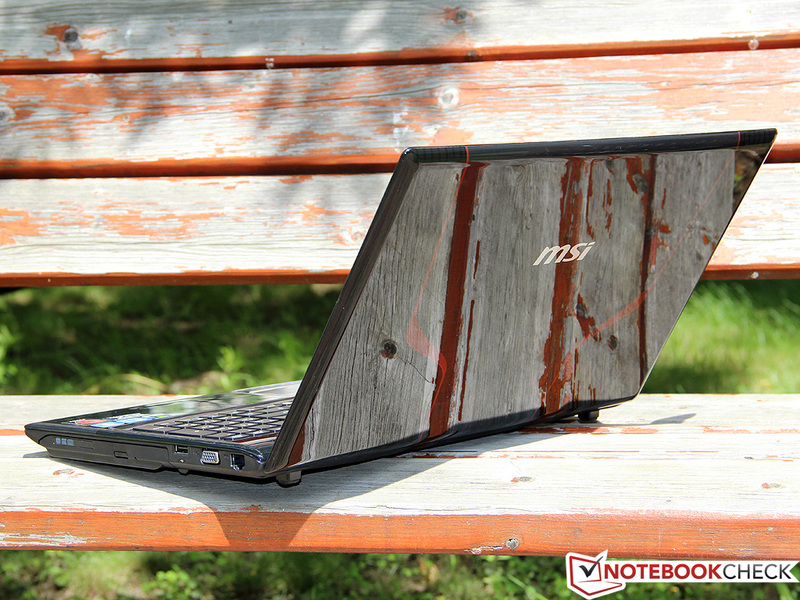 In our experience, MSI notebooks allow for easy maintenance and upgrading. 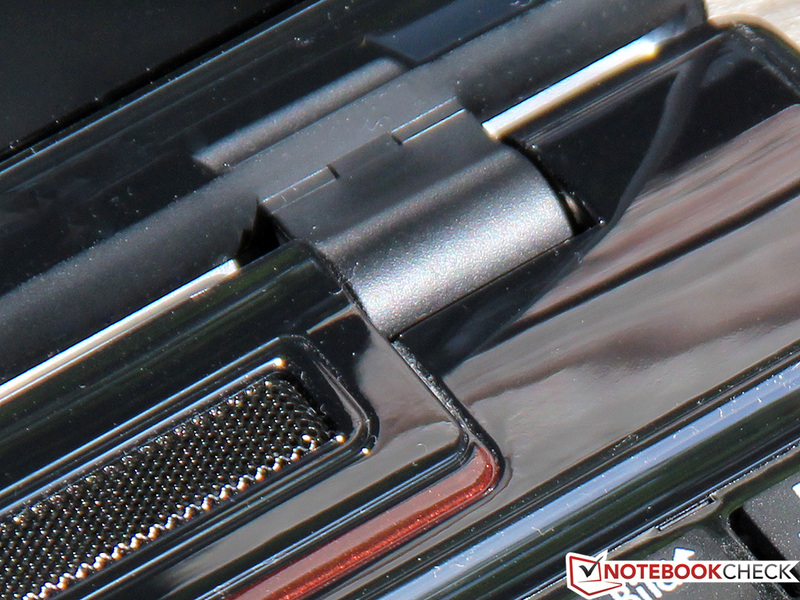 A few screws hold a large maintenance cover in place over the underside of the notebook and removing the cover provides access to most vital components. In our case, one of the screws was covered by a seal as a warning against unauthorized opening. 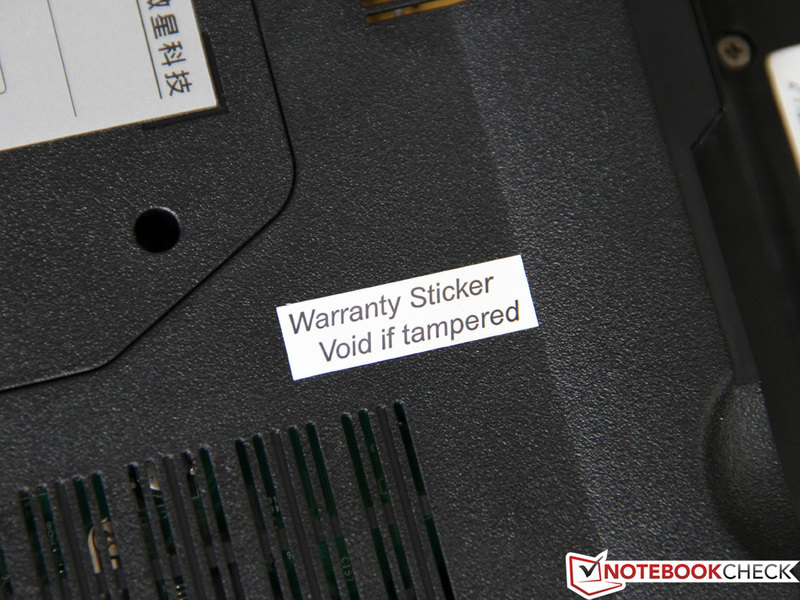 However, this seal does not void the warranty if removed. Any damage that occurs during user self-servicing, however, is unlikely to be covered by the manufacturer’s warranty. After removing the cover, we found the two memory banks (both of which came occupied), one hard drive slot (which already is occupied), the Wi-Fi module, and a free mSATA slot. Experienced users can even change the CPU and clean the cooling system but we would discourage inexperienced users from doing so. 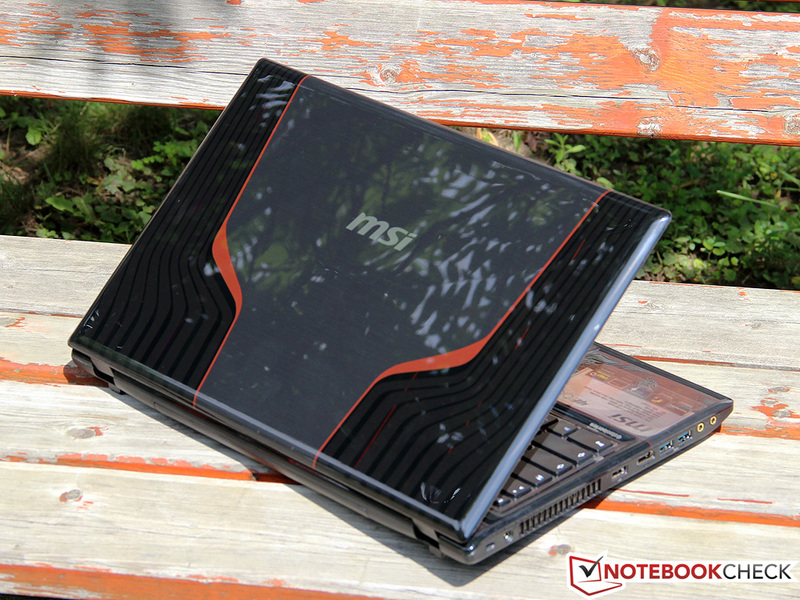 The MSI GE60 comes with a standard 24-month warranty that includes pick-up and return service. This warranty can be extended to three years as is the case with all MSI GT, GE, and CX series notebooks. The premium for this extension varies from dealer to dealer but starts at an affordable 49 Euro ($59 USD). As the input devices and case were already reviewed in the review of the Deviltech Fire DTX, this section will be limited to a brief summary of the main features. The most noticeable difference of the MSI GE60’s black SteelSeries chiclet keyboard is its unconventional layout which requires a bit of familiarization. While the keyboard uses 14 mm (0.55 in) keys that are pleasantly large, a number of keys have been resized and moved. The “Enter” key is the typical smaller US version and the “Delete” and “> < |” keys have been moved. The full-sized arrow keys are likely to be pleasing to gamers. The keyboard has a firm, crisp, and precise stroke that more than outweighs the unusual key layout. Typing is quick and easy. We observed a clattery noise, especially from the spacebar, that conveyed the use of cheap plastic materials. This subjective impression undermines the more objective impression of a good build quality and high stability. 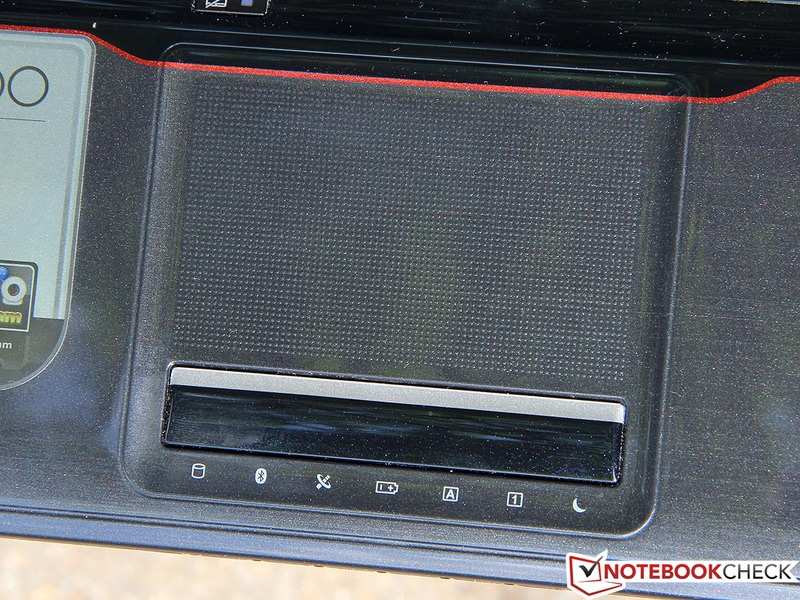 While the Elan touchpad struggled with driver issues in the the Deviltech Fire DTX, it worked fine in our tests for the MSI GE60. Multi-touch gestures worked in this review. Each gesture can be configured and/or disabled individually if necessary. The textured input area provides very clear tactile feedback for every gesture and allows even moist fingers to glide over the pad without issue. Whether or not a user will prefer the textured touch surface is a matter of personal taste. 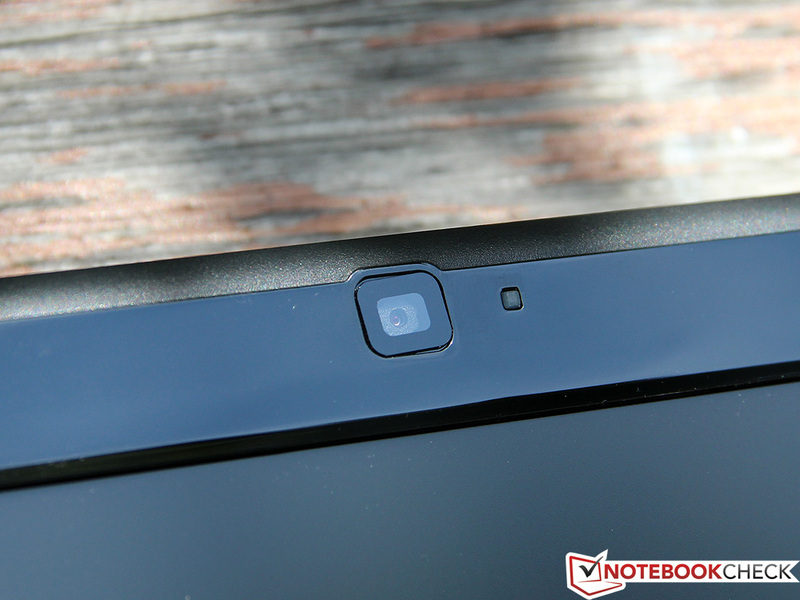 We found no reasons for complaint with regard to the touchpad’s accuracy. Unfortunately, the stiff mouse buttons detract from the overall touchpad experience. The continuous bar requires very high pressures at the outer edges and lacks a clear click point. For many users, the matte 15.6-inch 1920x1080 (Full HD) screen will be a major reason for buying the MSI GE60. As a result, our expectations are equally high. Those who have never used a notebook with such a high resolution display will be required to adapt to the very fine appearance of letters and icons due to the screen’s high 141 dpi pixel density. Modern operating systems such as Windows 7 allow customization of the size of icons and fonts for this very reason. We found that the display had an average brightness of 248 cd/m2 which should be sufficient for most applications even if it is dimmer than Asus N56VZ’s nearly 300 cd/m2 average brightness. We would like to criticize the reduced brightness on the lower edge of the display but this flaw is hardly noticeable in practical use. Brightness and illumination vary based on manufacturing-related fluctuations and are thus different in every specific unit. We observed a low black value of only 0.48 cd/m2 and the corresponding contrast ratio of 546:1 is good and on par with both the Asus N56VZ and the Deviltech Fire DTX. 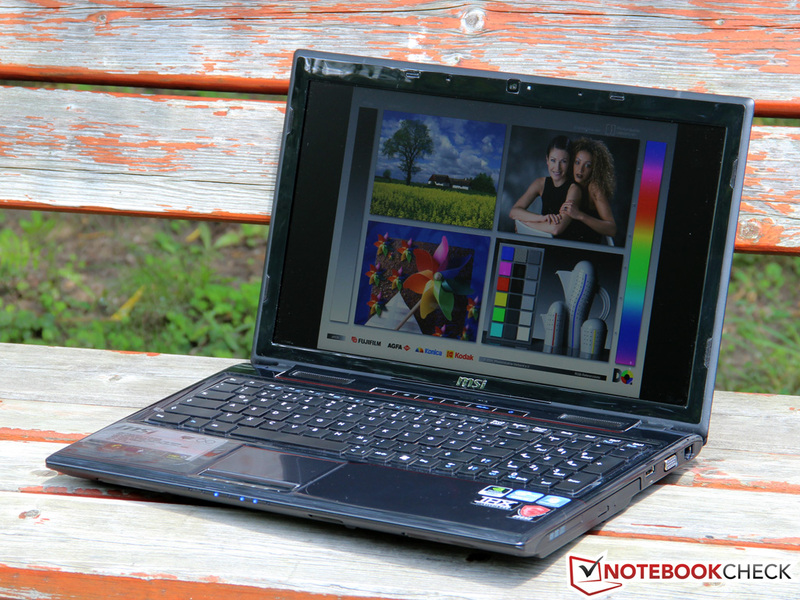 All three notebooks use the same LG Philips Twisted Nematic (TN) screen (some Asus models use a similar Samsung model). While this is not a premium display, it is clearly ahead of the inferior screens often used in most entry-level notebooks. The MSI GE60 is a pure consumer device and is not intended for professional graphics designers or photographers. Neither the sRGB or larger AdobeRGB color spectra are completely covered but this weakness should not be a restriction for normal, practical use. 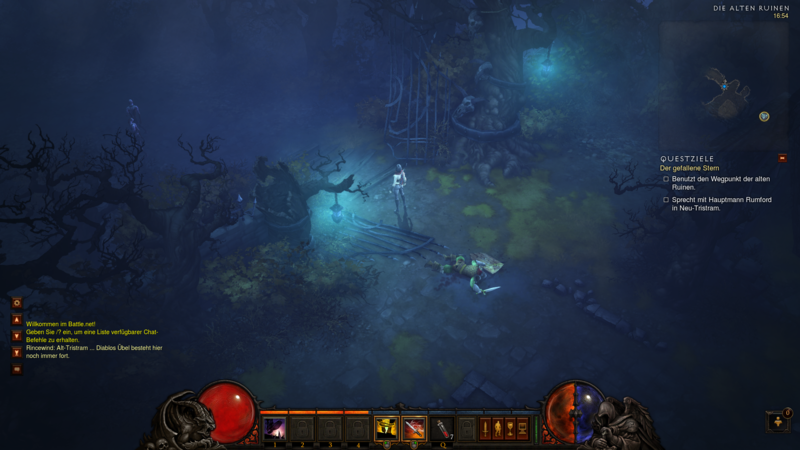 Movies and games are rendered in high contrast and vibrant colors. The display’s matte surface is the largest advantage supporting outdoor use and should keep reflections to a minimum. 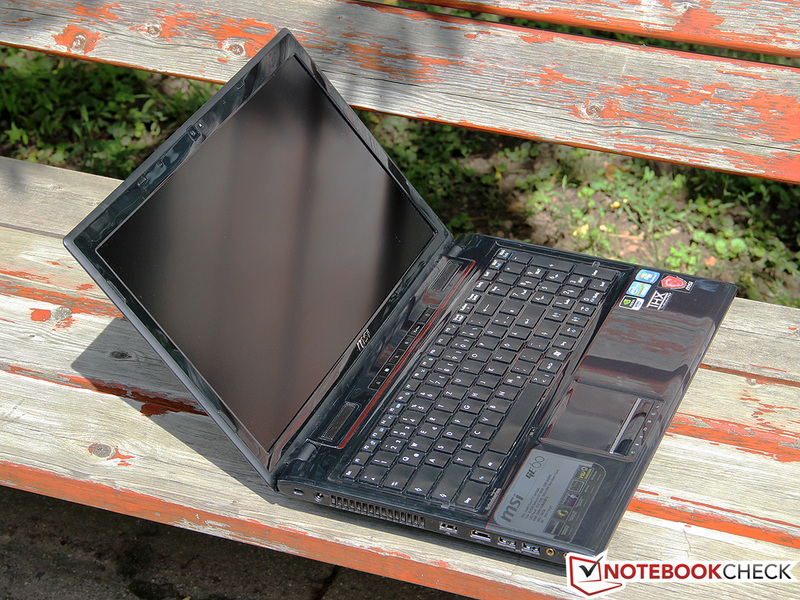 We would have preferred a somewhat stronger backlight for extreme lighting or direct sunlight but the notebook demonstrated capability in outdoor use without restriction. 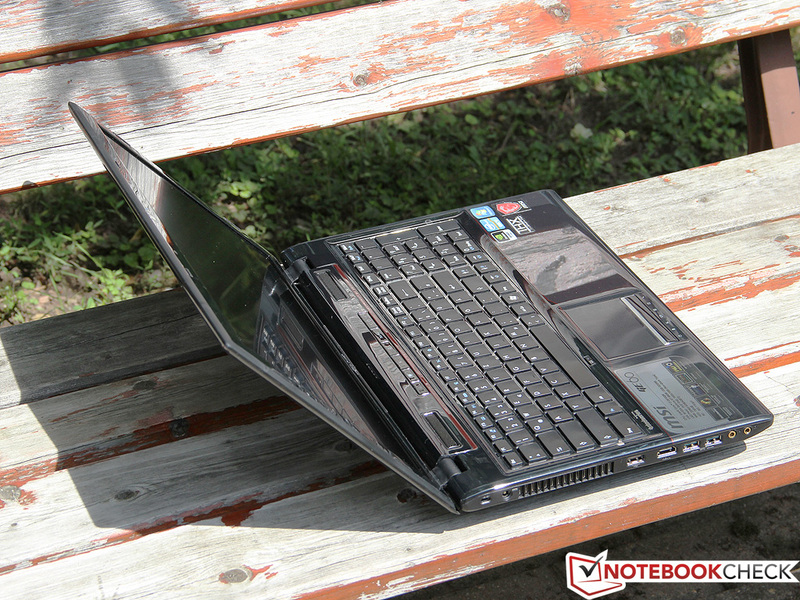 Other gaming notebooks such as the Alienware M14x often use glare-type screens and have a much harder time outdoors. In addition to its excellent outdoor viability and good contrast ratio, we were impressed by the MSI GE60’s fairly generous viewing angles. Display contents remain virtually unchanged over a wide range of angles, particularly from the sides, and this allows multiple people to watch a movie together. While color and brightness inversion occur at higher angles above center, the MSI GE60 does a better job than most other models. Those requiring a VGA port will be satisfied as the port supplies an excellent signal quality that ensures a focused, flicker-free display even on Full HD resolution. Digital transmission via HDMI is also available. 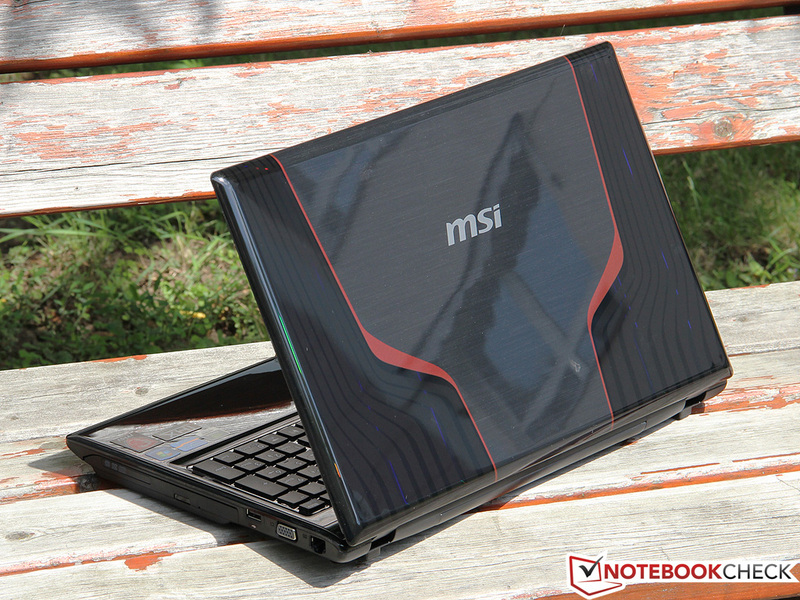 The MSI GE60 features the powerful, yet affordable Intel Ivy Bridge Core i7-3610QM quad-core processor. The use of Hyper-threading technology allows the four cores to handle up to eight threads simultaneously and Turbo Boost 2.0 technology allows the 2.3 GHz CPU to dynamically overclock itself to speeds for 3.3 GHz for single-core use and 3.1 GHz for up to quad-core use. As a modern processor, the Core i7-3610QM supports accelerated encryption operations (AES-NI) and advanced vector extensions (AVX) and is fabricated using the 22 nanometer process. 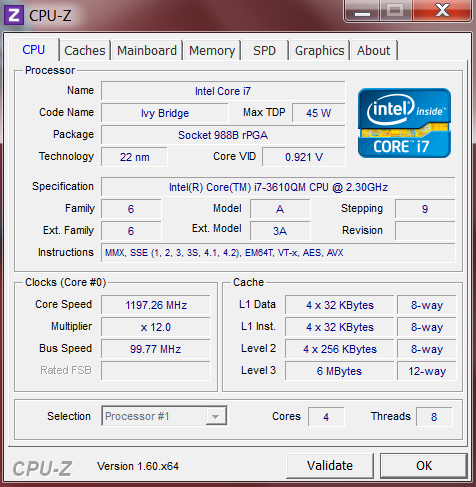 All of these traits have allowed the Core i7-3610QM to become one of the most popular Ivy Bridge processors and is the standard CPU for many gaming notebooks. Unfortunately, this performance comes at a cost. 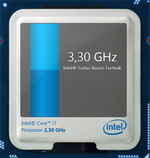 The 45 Watt thermal design power (TDP) exceeds the 35 Watt TDPs of more modest processors. 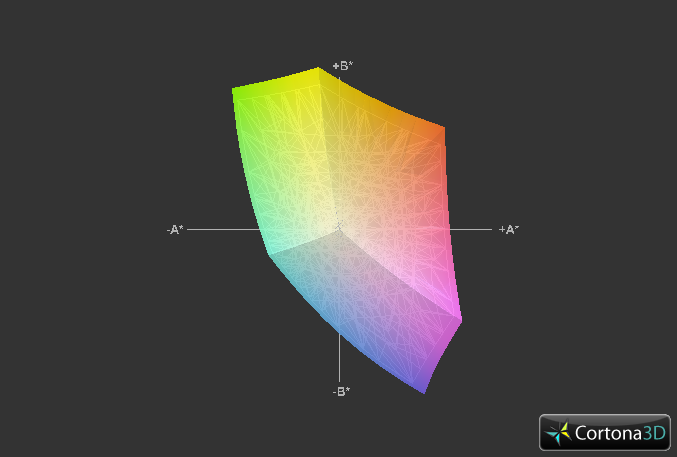 In many 3D games, performance is dependent more on the GPU than on the CPU. For this reason, MSI allows the buyer to choose one of two Nvidia 600 series cards based on Kepler architecture – the GeForce GT 650M or the GeForce GTX 660M for an additional 100 Euro ($125 USD). Our test sample came with the GT 650M which features 384 shader units in the GK107 processor, a base core clock of 745 MHz which can be overclocked to 835 MHz in Turbo mode, and 2 GB 1000 MHz GDDR5-VRAM. Nvidia Optimus is present and allows the system to automatically choose either the dedicated GPU or the processor-integrated HD Graphics 4000. When the dedicated GPU is not needed for 3D gaming, the integrated GPU is used to help conserve power and extend battery life. The entire system is supported by 8 GB DDR3 RAM in the form of two 4 GB Nanya memory modules. 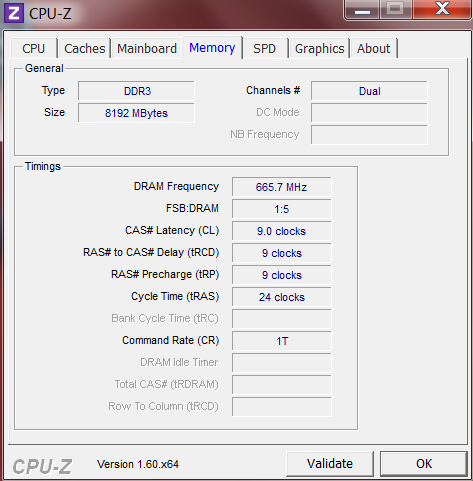 Interestingly, the memory is not at the maximum supported memory clock of 800 MHz but rather at the 667 MHz DDR3-1333 standard. This should not result in a significant performance decrease but this configuration is also sub-optimal. The equipment package is rounded out by a 750 GB hard disk. 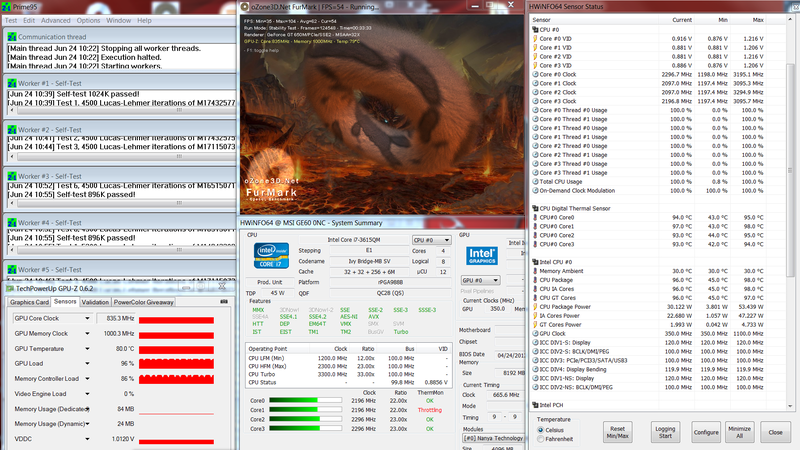 To test MSI’s implementation of the popular Core i7-3610QM, we used the Cinebench R11.5 64-bit Multi-core test. 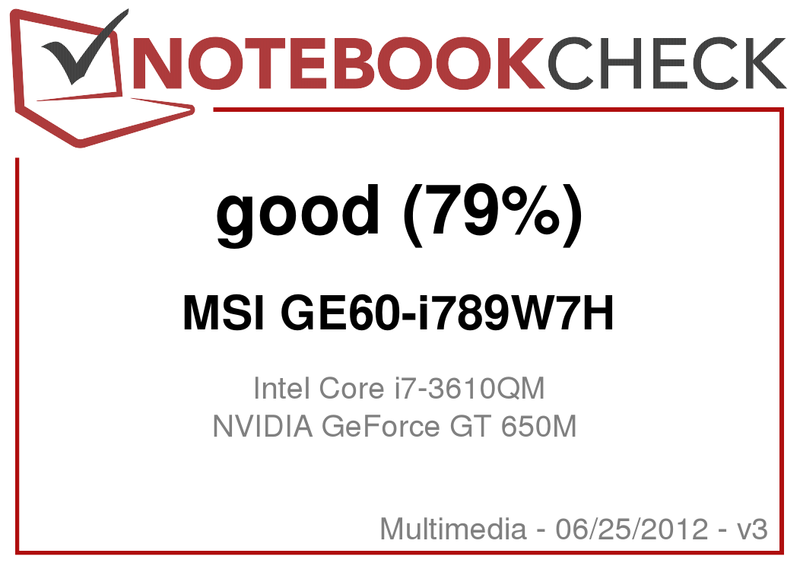 While the MSI GE60 scored a good result of 6.0 points in this test, the result is still a few percentage points behind faster competitor notebooks using the same CPU. We quickly discovered the cause of this performance loss. Other notebooks are typically able to maintain the quad-core Turbo Boost speed of 3.1 GHz over the entire benchmark process whereas the GE60 dropped to 2.9 GHz after a few seconds. This is a fairly trivial limitation and should be hardly noticeable in practical use. We determined that processor performance was stable on battery power. The optional Turbo mode “Cooler Boost” allows the user to increase the fan speed and yielded a slight increase in performance with a score of 6.09 points. However, choosing this option increased the fan noise enormously and most users will likely find the performance boost insufficient to justify such increased noise. 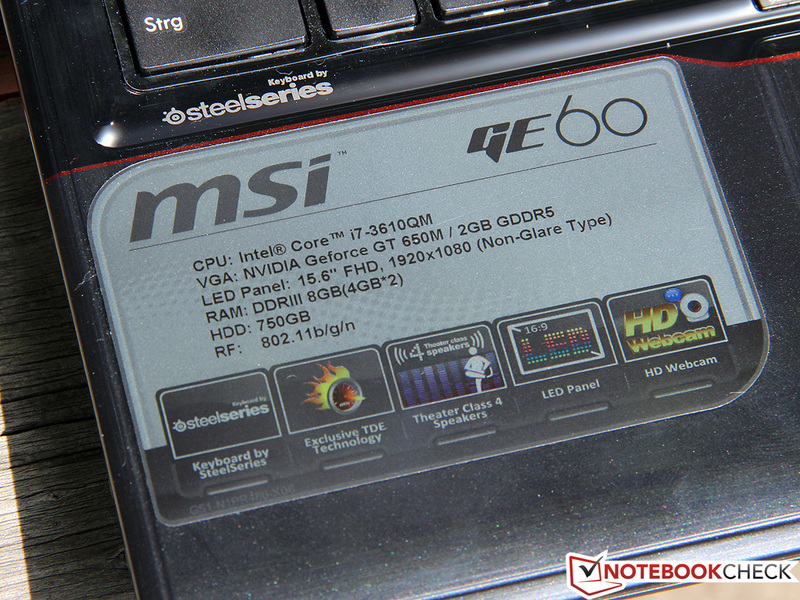 Unfortunately, the MSI GE60 does not come with a solid state drive (SSD) as the standard storage device. Instead, the user can choose between a 500 GB or 750 GB hard disk depending on model. 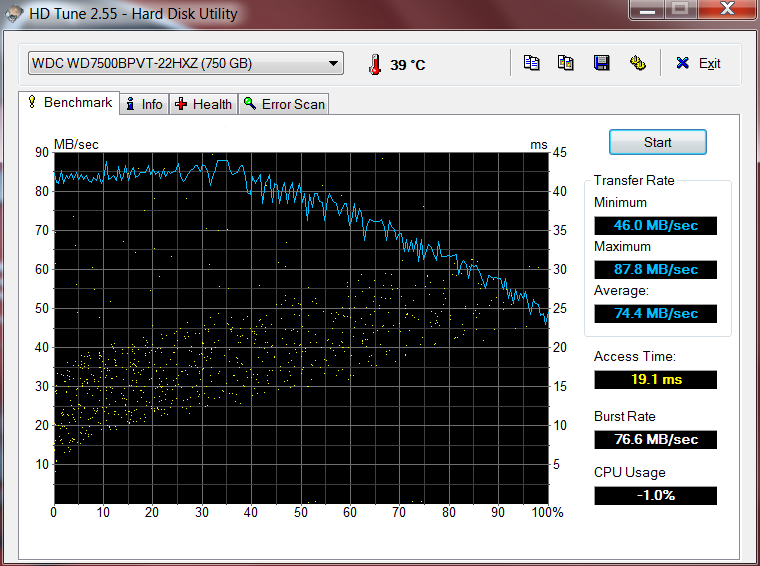 Our test device came with the larger of the two options, the 750 GB Western Digital Scorpio Blue (WD7500BPVT-22HXZ). This drive is clearly designed as a mobile storage device based on its 5400 RPM and 8 MB cache. These factors caused us to expect a merely moderate performance. This assumption was confirmed by HDTune which recorded a very mediocre data transfer speed of 74.4 MB/s and an access time of 19.1 milliseconds, an average result amongst comparable hard drives. By comparison, the current generation of SSDs achieve read speeds of up to 500 MB/s and seek times of 0.1 milliseconds for large files and even higher performance levels for small files. 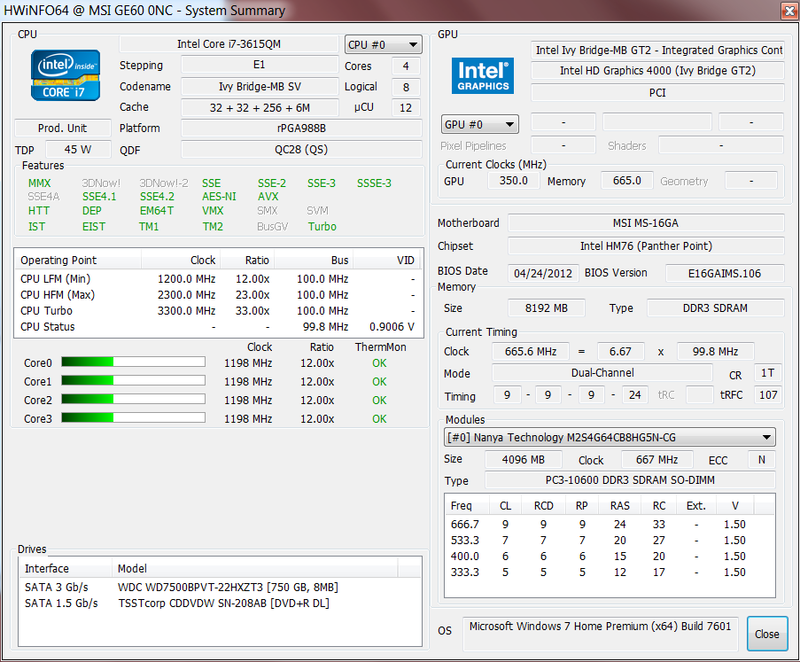 The strong processor allowed the MSI GE60 to achieve good results in the PCMark series of benchmarks. The GE60 scored 9761 points in PCMark Vantage and 2532 points in the newer PCMark 7. These results are slightly above those of the similarly equipped Asus N56VZ. Had MSI given the GE60 a fast SSD, these scores would have been much higher. The slow hard disk is also the reason that our sample did not set itself apart from less expensive alternate notebooks in typically use. The hard drive proved to be the limiting bottleneck in installing and loading programs and similar tasks. We could likely achieve a better compromise between storage capacity and price by adding an additional mSATA SSD to hold the operating system and most frequently used software. The Core i7 processor is nonetheless capable of fully exploiting its processing power in CPU-heavy applications such as video conversion and achieves nearly twice the performance of dual-core processors such as the Core i5-3320M. 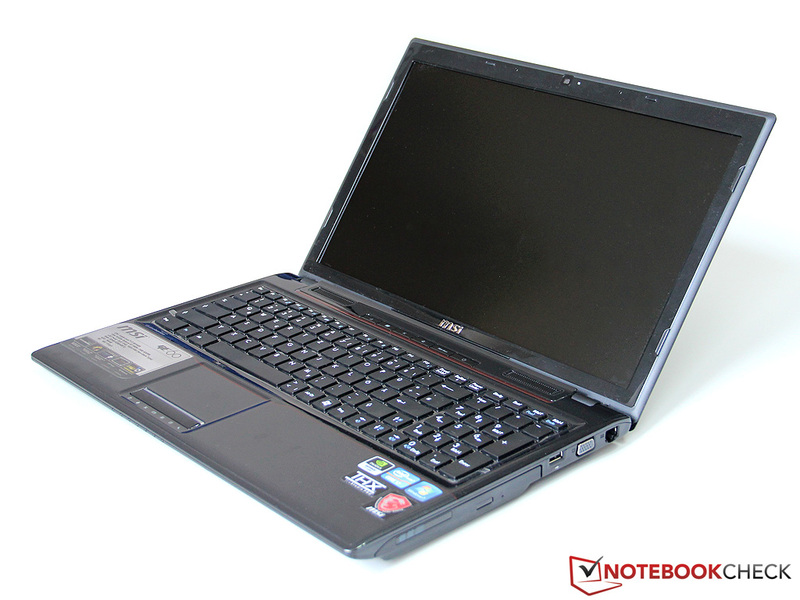 As with the processor, we at Notebookcheck are quite familiar with the GeForce GT 650M from other competing notebooks such as the Schenker XMG A502, Asus N56VZ, and Deviltech Fire DTX. MSI chose to strictly follow the reference clock rates established by Nvidia and as such we noticed virtually no performance differences when comparing the MSI GE60 to its competitors. We observed 2215 points in 3DMark11 on the performance profile and, as such, the GT 650M is comparable to the older, high-end GeForce GTX 560M. At present, there are no 28 nanometer AMD cards but the GT 650M most closely compares to the upcoming Radeon HD 7770M. 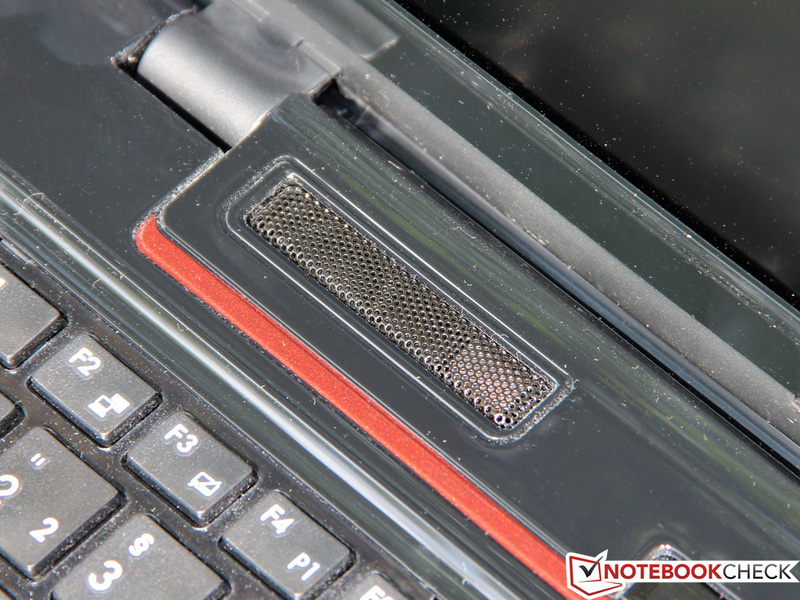 On battery power only, the notebook faces massive 3D performance losses. The GPU core clock and memory clock are throttled to 405 MHz and 400 MHz respectively as compared to the 835 MHz and 1000 MHz clock speeds respectively on AC power. As a result, the 3DMark11 score dropped to 1131 when we repeated the benchmark on battery power. This level of performance most closely corresponds to the GeForce GT 620M. 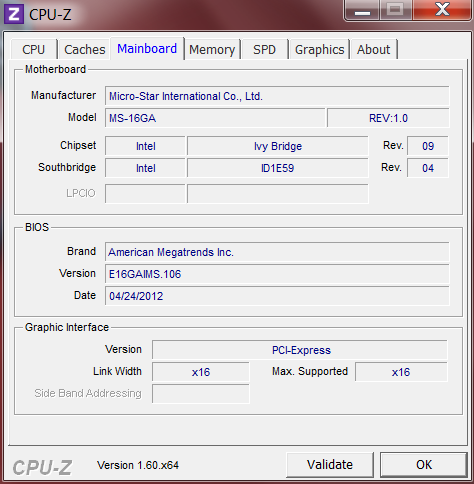 Sometimes synthetic benchmarks do not properly reflect real world gaming performance. As such, we always run notebooks through a series of gaming tests. The strong combination of Core i7-3610QM CPU and GeForce GT 650M GPU allowed the MSI GE60 to handle all test games at high settings, a 1366x768 resolution, and both anti-aliasing (AA) and anisotropic filtering (AF) on low at frame rates of 40 or greater. On the other hand, the GE60 had a hard time with its native Full HD resolution and maximum details. Under these conditions, we only experienced smooth gameplay in Fifa 12 and Diablo 3 with the latter using Patch version 1.03 and no anti-aliasing. Judging from the large series of games we have tested using this hardware combination, including the recent action hit Max Payne 3, the GT 650M should be sufficient for the near future but particularly power hungry games may require a decrease in settings and/or resolution. While the MSI GE60 is very similar to the Deviltech Fire DTX in terms of hardware, the MSI GE60 is somewhat different in terms of system noise. While idle, our MSI test sample emitted a noise in the range of 31.7 to 33.9 dB(A) compared to the 30.5 to 31.1 dB(A) range of the Fire DTX. The GE60’s level of noise is audible at a distance of approximately 1 meter in quiet surroundings but will not likely draw attention to itself at this noise level, especially considering that the fan generates a very steady monotonous noise. In this scenario, the hard disk also remained unobtrusive with a noise level of 32.3 dB(A). During heavy hardware load, as in the case of both 3DMark06 and during our stress test, the noise level increased to a much more noticeable 44 dB(A). With the optional fan Turbo mode activated, the maximum noise level reached 46.9 dB(A). These levels make the MSI GE60 a bit quieter than the Schenker XMG A502’s 46 to 52 dB(A) noise range but much louder than the Asus N56VZ’s 37 dB(A) noise level. 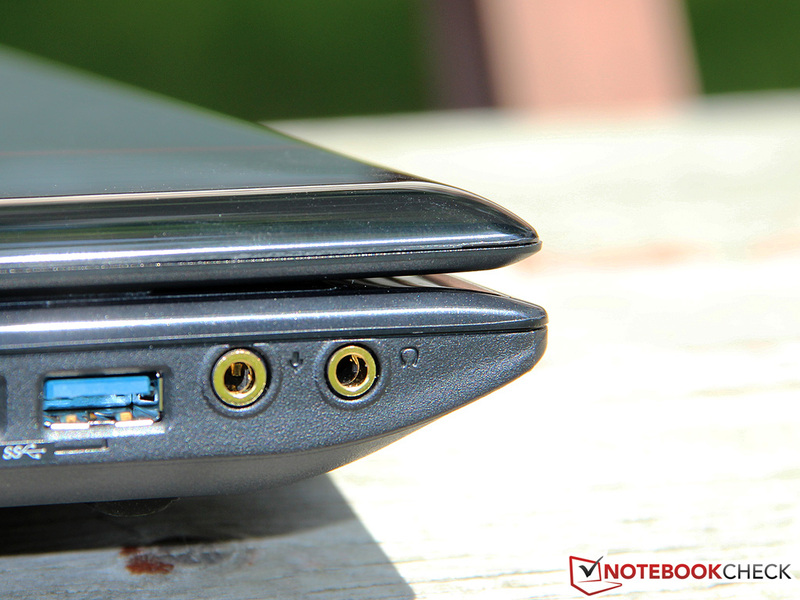 The MSI GE60’s system noise can be easily drowned out when the speakers are turned up a bit or headphones are used and users should not have any problems with overly noisy operation. The MSI GE60 uses both Nvidia Optimus technology as well as the processor’s own sophisticated energy savings mechanisms to ensure that power consumption and the resulting heat generation are reasonably limited. At idle, the case barely heated up to a temperature of 24 degrees Celsius (75 degrees Fahrenheit). 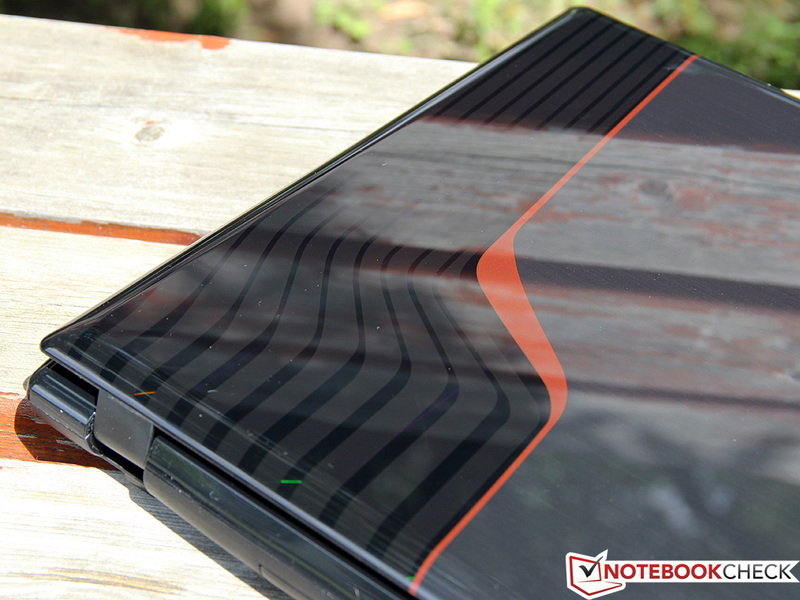 The temperatures on both the top and bottom reached an average of about 28 degrees Celsius (82 degrees Fahrenheit), enabling the notebook to be used on one’s lap comfortably. Under full load, however, we measured temperatures of up to 54 degrees Celsius (129 degrees Fahrenheit) near the exhaust vent outlet. While the wrist rest remained within a tolerable temperature range, we would still discourage users from operating the notebook from the lap under these conditions. As well, the user should take care to regularly clean the fan and heat sink to ensure an unimpeded supply of cooler air to the system’s cooling system. While under load, the interior also became quite hot. The processor reached temperatures of over 90 degrees Celsius (194 Fahrenheit) after a short time and settled into a temperature range of 93 to 98 degrees Celsius (199 to 208 Fahrenheit) after a longer Prime95 test. We observed light throttling and the CPU clock dropped to 1.9 GHz with the fan set to its default behavior and 2.2 GHz with the fan set to Turbo mode. We did not observe such behavior in real world applications. 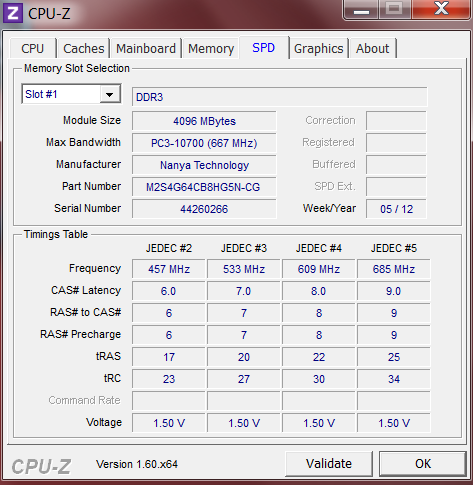 The GeForce GT 650M maintained its maximum Turbo boosted core clock of 835 MHz even while running FurMark and never exceeded a temperature of 80 degrees Celsius (176 degrees Fahrenheit). (-) The palmrests and touchpad can get very hot to the touch with a maximum of 44.7 °C / 112.5 F.
(-) The average temperature of the palmrest area of similar devices was 29.1 °C / 84.4 F (-15.6 °C / -28.1 F). 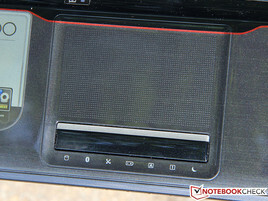 The MSI GE60 has four speakers, two above the keyboard and two more on the front edge of the notebook. These speakers should provide a strong audio experience and include THX certification. While the virtually identically-equipped Deviltech Fire DTX suffered from audio noise, our GE60 sample exhibited no such problem. Movie and music playback stood out and gave us a high-fidelity impression with good spatial separation and a remarkable maximum volume. However, the speakers still demonstrate a weakness in bass tones and were perhaps a bit too aggressive in high-tones. Nonetheless, these highly critical points do not detract from a good overall score. As usual, external speakers can be connected via both the classic 3.5 millimeter jack and the HDMI port. The latter also allows for digital output but requires the use of an A/V receiver with HDMI inputs. As already demonstrated in the temperature section, the MSI GE60 is extremely energy-efficient while idle and the 11.5 to 17.5 Watt power consumption range is very good for this performance category. This result also roughly corresponds to that of the Asus N56VZ. If the dedicated graphics card is not disabled via Optimus, the power consumption would be at least 5 Watts higher. We used 3DMark06 to simulate typical 3D applications and observed a power consumption of 78 Watts. This is also comparable to the Asus N56VZ and the Deviltech Fire DTX and something to be expected due to the identical configurations of all three notebooks. The Schenker XMG A502 is a bit more energy-efficient due to a disabled CPU Turbo. In our stress test, we observed a maximum power consumption of 106.5 Watts, ensuring that the included 120 Watt power supply has more than sufficient overhead. 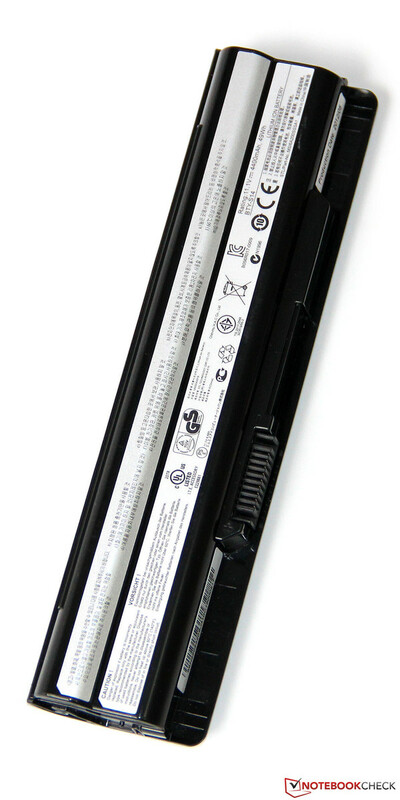 The MSI GE60 uses a small 49 Wh battery and clearly is not designed for long-term mobility. Using the BatteryEater Reader Test with energy savings mode on, minimum display brightness, and wireless modules off, we observed a runtime of 4 hours. 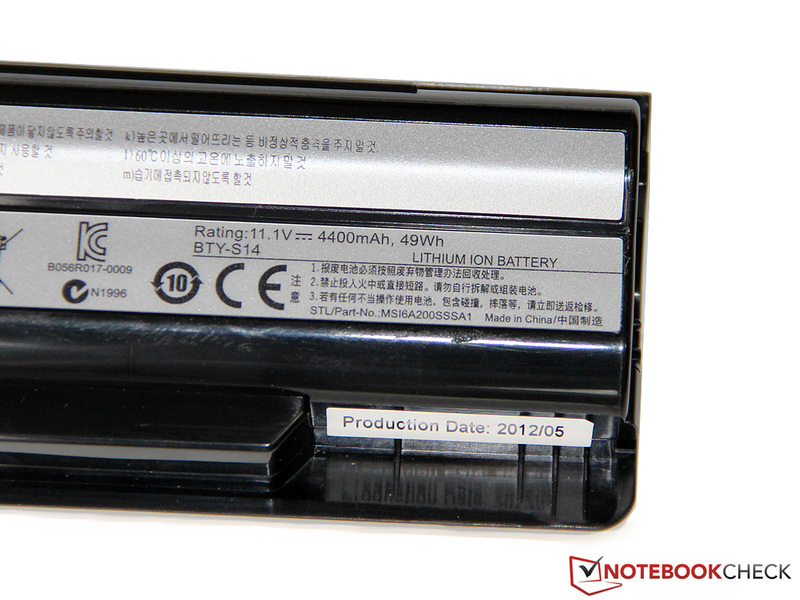 Competing notebooks also tend to manage such short battery runtimes. 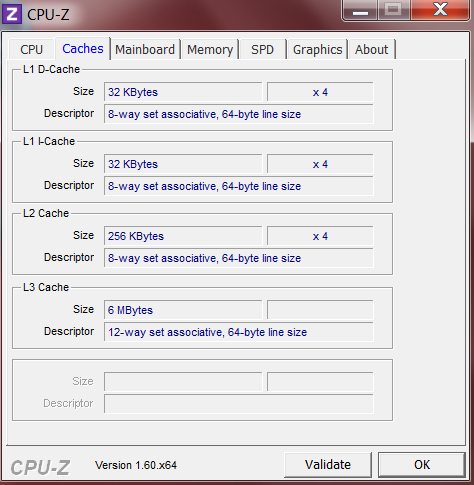 The Asus N56VZ is an exception with a measured runtime of 6 hours in this scenario. In practical use, however, the battery runtime drops considerably. We used the Wi-Fi test with energy savings mode on and brightness set to approximately 150 cd/m2. Using a script, we opened different websites and YouTube videos every 40 seconds and observed a moderate runtime of 2 hours and 55 minutes for the MSI GE60. Using the internal optical drive, it is possible to watch most extended cut movies under these conditions. For those willing to accept reduced 3D performance when running on battery power, gaming sessions must be limited to short periods of time. 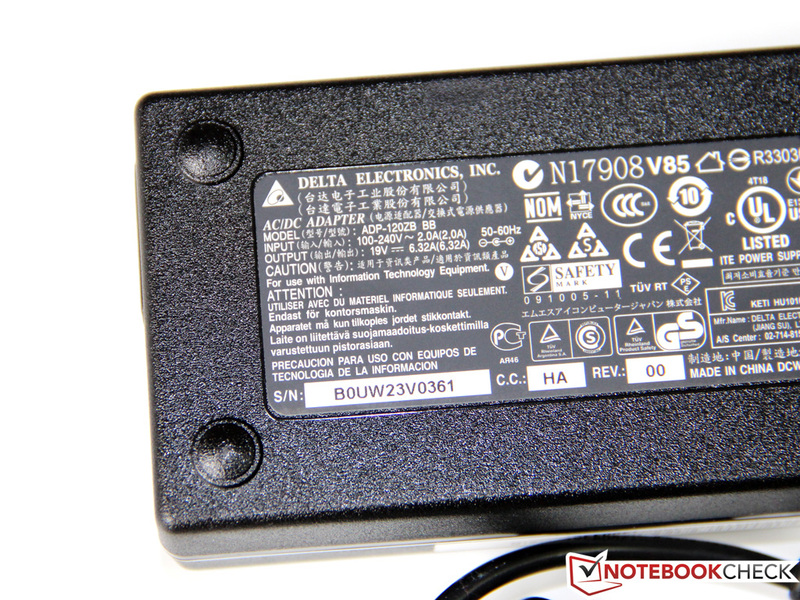 Using the BatteryEater Classic Test that simulates a load situation using the high-performance profile, maximum brightness, and wireless modules turned on, the notebook had a battery runtime of 49 minutes. This runtime is dwarfed by the charging time of approximately two and a half hours. Current notebook buyers might be overwhelmed by choice. 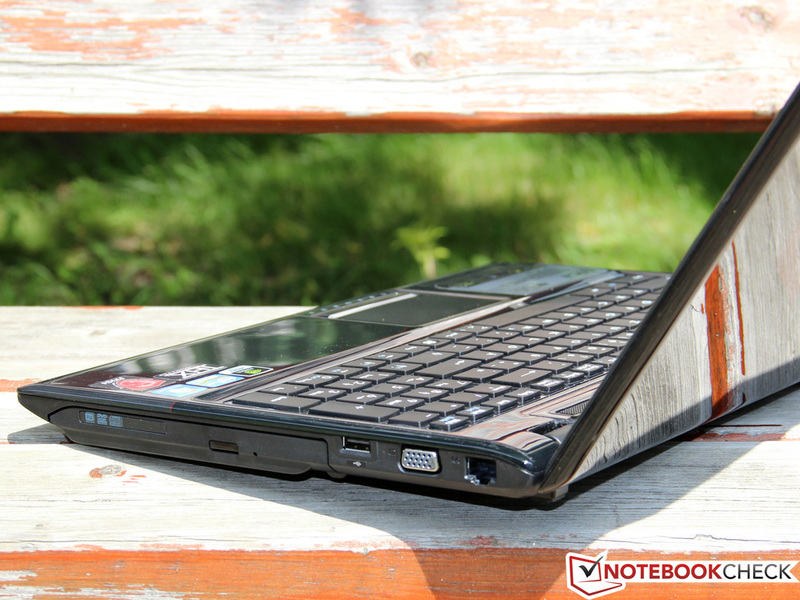 The options for notebooks in the 1000 Euro ($1229 USD) price range are vast and many models offer comparable configurations. 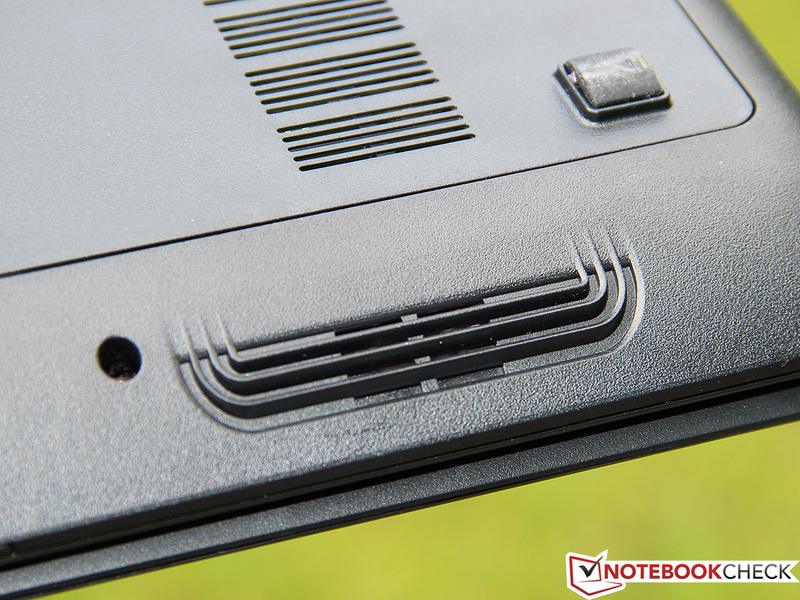 In order for a notebook to attract potential buyers, the notebook itself must offer more than just performance. MSI recognized this and built the MSI GE60 around not only strong hardware but also an excellent screen. 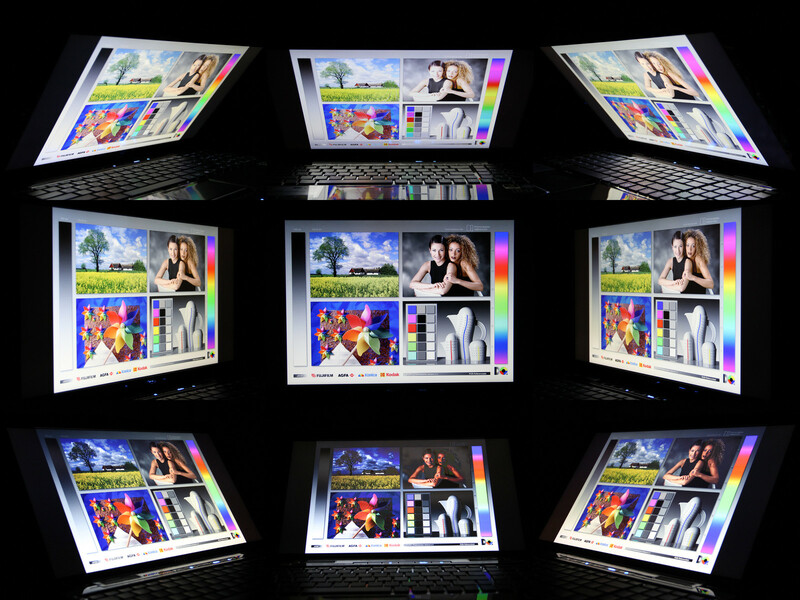 High brightness and a matte surface allow the display to be used outdoors and games and movies are rendered in vivid colors due to the high-contrast display. The multimedia experience is strongly enhanced by an excellent sound system that employs four speakers. In other aspects, our MSI GE60 sample fell short. While the MSI barebones platform used by the GE60 is comparatively slim and light, these traits come at the expense of stability and build quality. The platform also lacks support for eSATA, DisplayPort, and Thunderbolt. 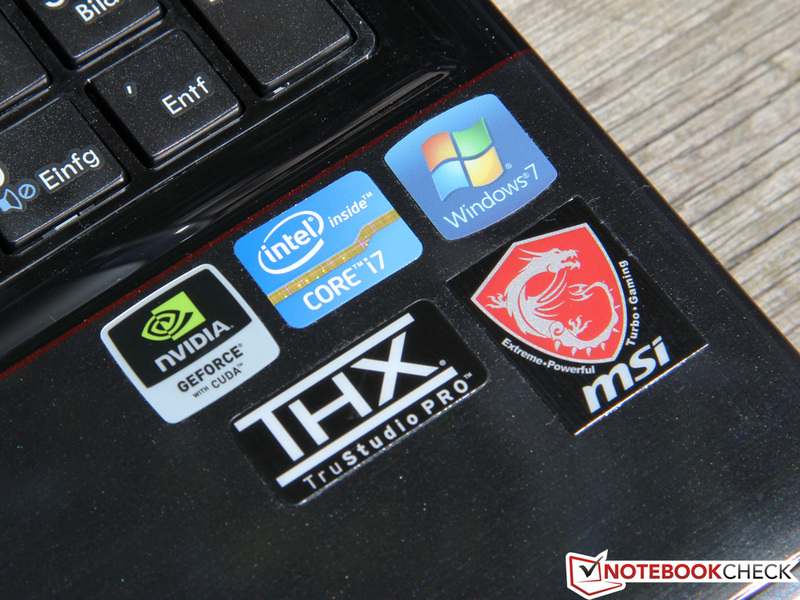 Will the MSI GE60-i789W7H be able to attract its target audience? Gamers will likely be satisfied with the listed strengths and special features and will appreciate the keyboard’s full sized arrow keys. 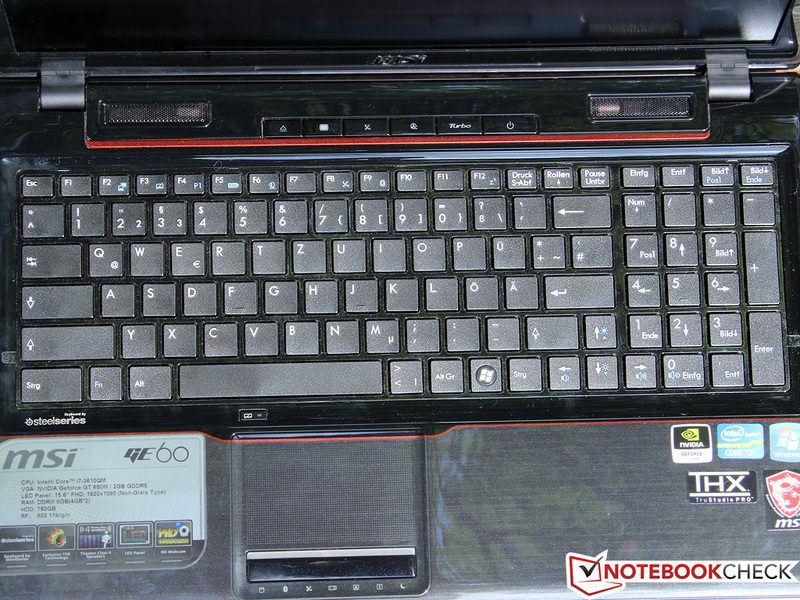 The Asus N56VZ offers better all-around qualities than the MSI GE60 but lacks the ability for customization that is present in the Deviltech Fire DTX and Schenker XMG A502. 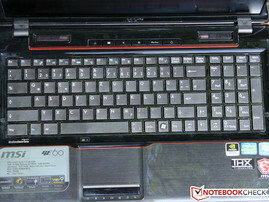 Ultimately, we feel the MSI GE60 will be suitable for its target audience despite the competition. We also find a 4-in-1 card reader on the front, among other things. The input devices left mixed feelings. The keyboard has an unusual layout and clatters a bit. The touchpad’s stiff mouse keys are annoying. A total of 4 speakers serve as the GE60's sound system. Two are hidden on the bottom. The large maintenance flap is found here. Like Deviltech’s Fire DTX, many components can be exchanged easily. The battery capacity of 49 Wh is too small for this system. 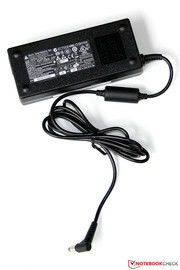 The power supply provides 120 watts. 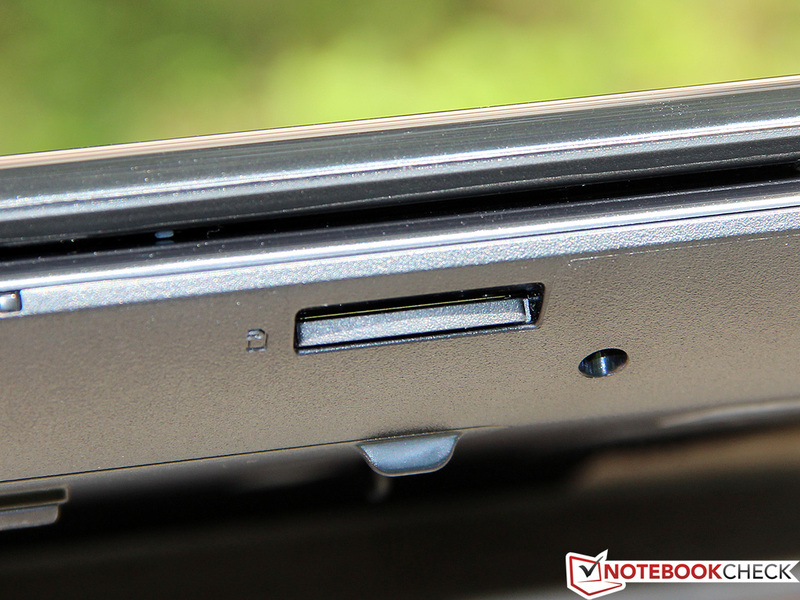 In terms of connectivity, we find two USB 3.0 ports. Both generate considerable heat during load. 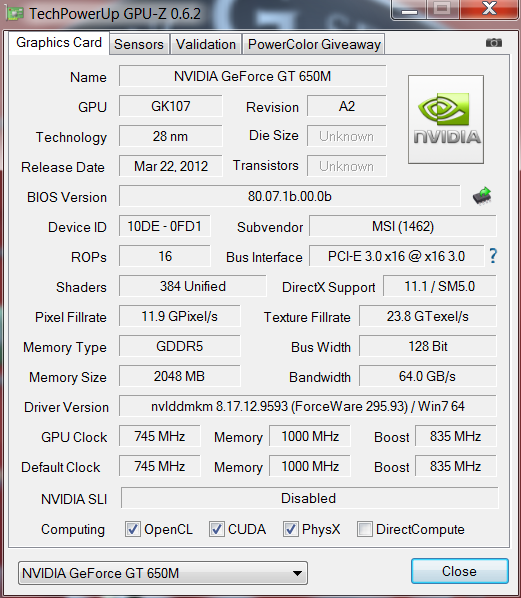 and the Nvidia GeForce GT 650M as GPU. is modeled closely after the larger GE70. A subtle striped pattern loosens up the design slightly. 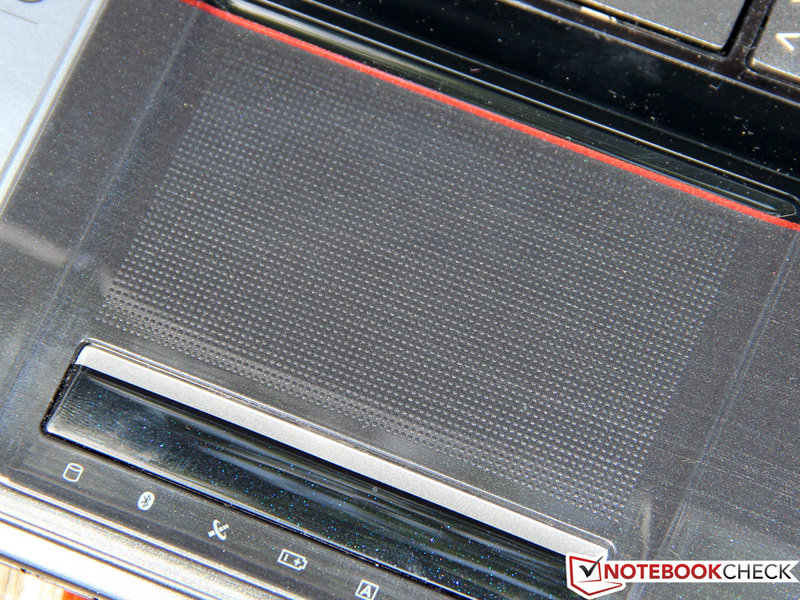 The notebook's design is otherwise restrained. that we already tested in the Deviltech Fire DTX. A few minor stability and manufacturing flaws are still present. 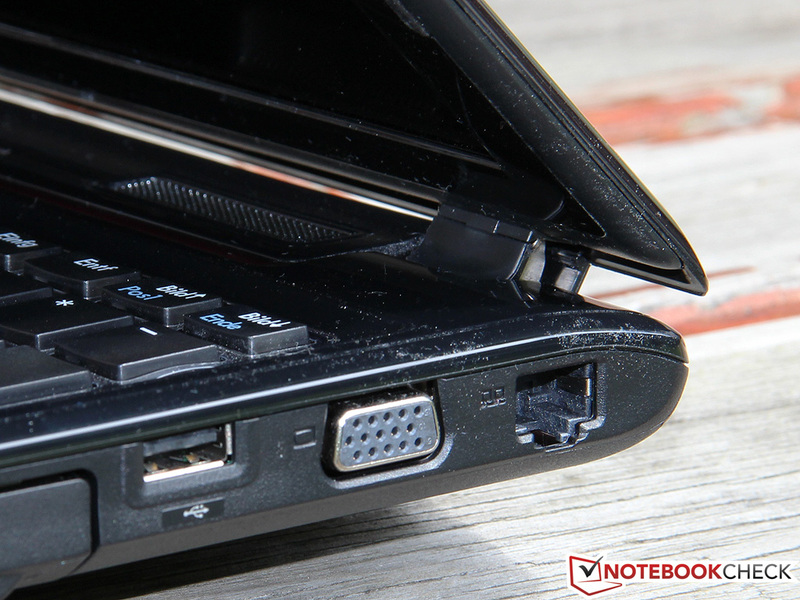 This is more than the notebook’s full load power consumption. High-quality screens are slowly but surely becoming standard among gaming notebooks in the 1000 Euro ($1249 USD) range. High brightness, good contrast and a matte finish are exactly how we like it. Gamers also think practically. The high gloss piano lacquer looks good but also reveals dust and fingerprints. MSI could also improve manufacturing quality. 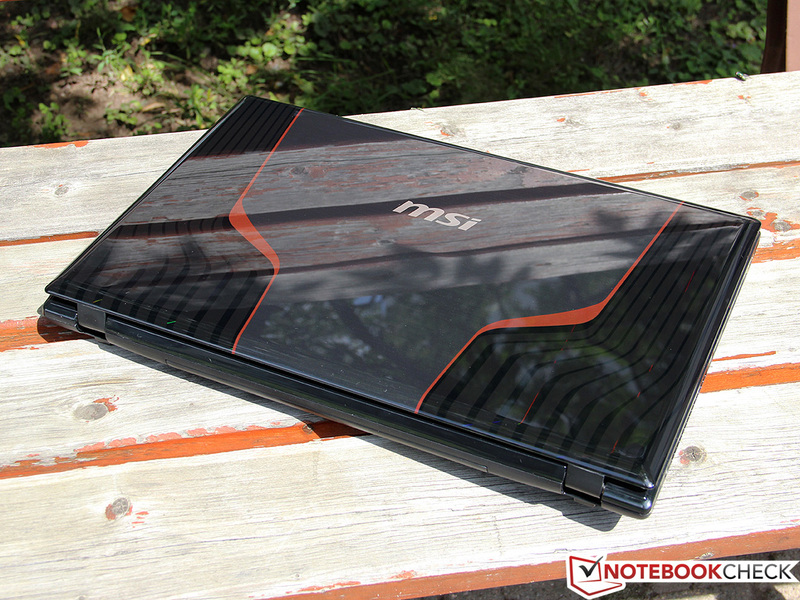 The MSI GE60 is virtually a clone of Deviltech’s Fire DTX (MSI MS-16GA barebones platform). There are only minor differences in the looks. Otherwise, the two devices are functionally comparable. We already mentioned one of the GE60’s toughest competitors, but there are a lot of other alternatives with an almost identical configuration. Among these, you will find the Asus N56VZ and Schenker’s XMG A502, as well as 17-inch devices like the Acer Aspire V3-771G and Samsung 550P7C.